Here is a simple working example sketch for using Glediator with OctoWS2811 library, and some guidance on setting up. you can download these files from the RXTX site, and also find further help on installing, although I did not find the help so helpful. The two files need to go into a folder called Library. For some reason, i did not have a folder, so had to create one. 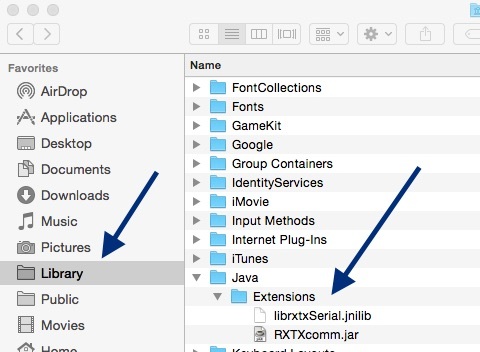 If you don’t have it already, create folders in the library folder and call it /Java/Extensions. but unfortunately I don’t use it, so I have this example running on MacBook Pro. Upload the sketch below to your Teensy. Gladiator is a pain, in that it seems to hang and crash on my Mac if you do things in the wrong order. 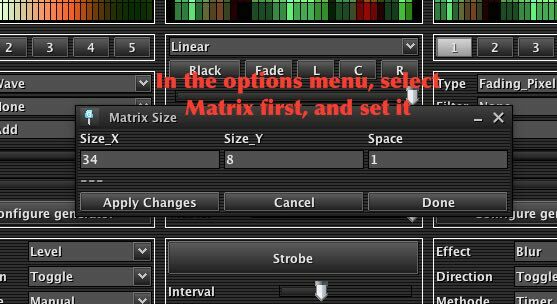 First you need to set the matrix size, and then set the output parameters. Also, when setting the output parameters, you can’t go back and change settings after opening the serial port, so do this last. when restarting Glediator, in the setup menu, you should now see the list of ports. Select the tty port usbmodemxxxx or some such. and then click apply. 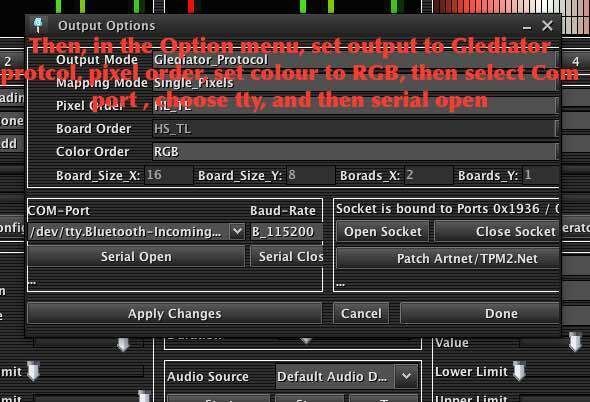 Ensure that you have selected the output type as Glediator protocol.